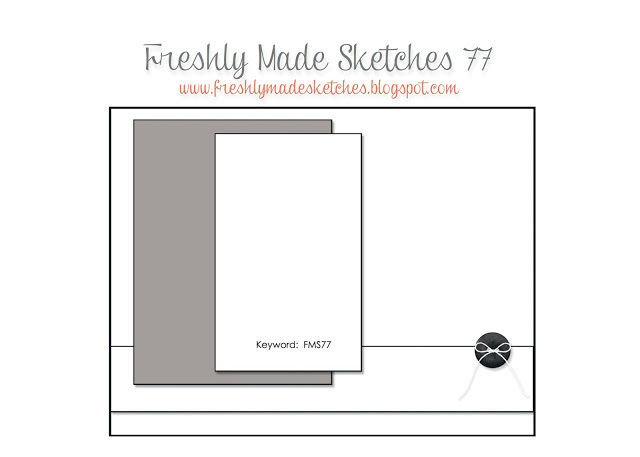 For this week's Freshly Made Sketches challenge I kept it simple and monochromatic! While I kept the colors simple, I was a bit free and easy with the sketch layout as you can see! Using just one color makes putting a card together quick and easy...less decisions! I truly enjoyed creating today's project and hope that you are motivated to create something as well! Thank you so much for visiting me here and for leaving such wonderful comments. They brighten my day and are very appreciated! If you have left a comment on my previous post, March Pals Blog Hop, please check back on Friday to see if you have won blog candy! If you have not left a comment yet, there is still time, so scroll down and leave me a comment! !